All over the world fans of J.R.R. Tolkien meet up, have a chat, discuss and interact on all things Middle-earth. In this installment of my fandom series we will visit New York City and talk to Carole Linda Gonzalez, the founder of this particular group which uses Meetup.com to organise their urban fantasy ways! Hi Carole, could you say something about yourself and how you came to be a Tolkien fan? When I was 12 years of age, a classmate sat near me during recess and opened up a book to read. There was an odd picture on the cover of a funny looking man with big hairy feet. The title of the book was “The Hobbit”, by a man named JRR Tolkien. I asked my classmate, “What’s a Hobbit”? Her explanation left me with the feeling that any well-educated 12 year would know that answer to the question and I couldn’t be very well-educated if I had to ask! So, I read “The Hobbit” to improve my image. After that, I forgot about JRR Tolkien until I meet a marvelous man named Alexei Kondratiev. He spoke a number of languages, held degrees in linguistics and authored a book on Celtic folklore called “The Apple Branch”. He was particularly interested in Tolkien and his languages and was very much involved with the Mythopoeic Society. We watched the Peter Jackson movies together and I listened to his entertaining commentary on the movies. After that I was inspired to read everything I could get my hands on about Middle-earth, Tolkien’s wonderful world. Could you tell us something about your involvement with the New York City Area Friends of Tolkien & Fantasy Meetup? Chatting with Alexei was fun, but I wanted to meet others who shared my newly found enthusiasm. Meetup.com was a great way to do that. I found a Tolkien group made up mainly of movie fans. Alexei also told me about another group that contained more serious book lovers. I joined that one too. When both groups became inactive and my friend Alexei unexpectedly passed away, I wanted to continue the adventure I had only just begun. I presented the idea of setting up a new meetup group to those who wanted to continue to meet. They agreed to give it a try. 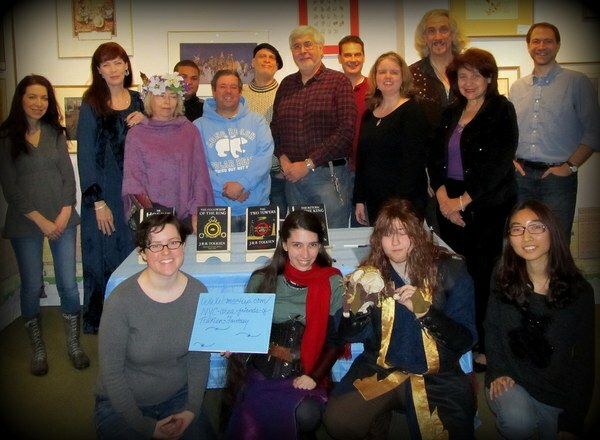 I founded the NYC Area Friends of JRR Tolkien & Fantasy meetup group on January 9, 2011. We’ve been meeting ever since. What do you do at your meetups and are there any bigger events/ things planned for the future? The group is geared for the busy schedules of New York City urbanites. We gather together on a monthly basis somewhere in midtown Manhattan to enjoy good conversation about Tolkien related subjects and fantasy in general! Most everyone has read the trilogy and much more. 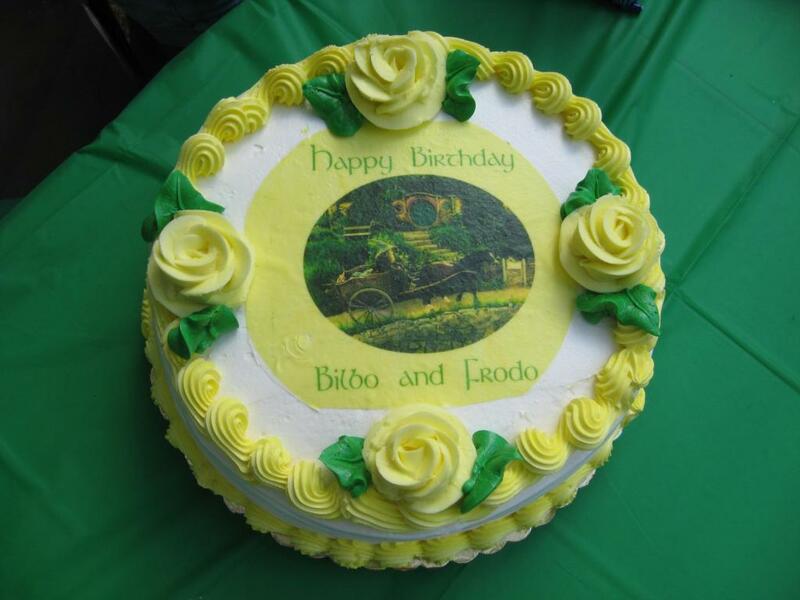 Some members put in special effort so we can gather to Toast to the Professor every year, share Reading Day with others around the world & celebrate Bilbo’s Birthday party. 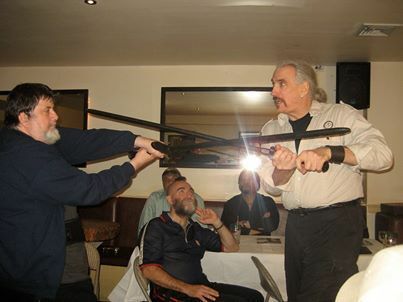 One of our members is a skilled stunt man and presented a swordplay demo for us. Others provide info and report back on various Tolkien & Fantasy conferences going in the area. Some write fantasy of their own and have shared it with us. All are Tolkien enthusiasts. It is an amazing group of talented people!